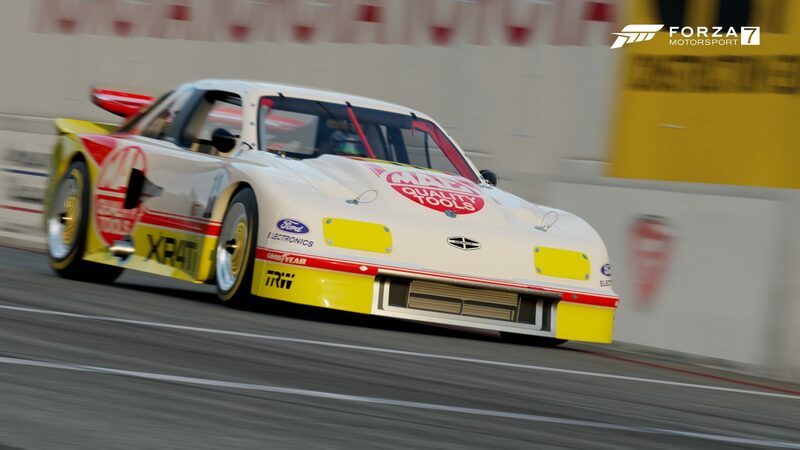 Discussion in 'Forza Motorsport 7' started by GTPNewsWire, Oct 3, 2018. This article was published by Kyle Patrick (@SlipZtrEm) on October 3rd, 2018 in the Forza Motorsport 7 category. adam thompson and ProjectF like this. Ok but why doesn't this game have a proper custom championship mode with classes? I heard that AI is still based on driveavatars which were terrible in FM6 (running wide and getting stuck in some tracks)...did they fix them in FM7? And even more with new FE cars !!! Daaaayum, good to see the Diablo GTR return, that is unexpected. Might take a short break from Horizon 4 to do some track racing in FM7. I heard that AI is still based on driveavatars which were terrible in FM6 (running wide and getting stuck in some tracks)...did they fix them in FM7? No. These are as terrible as ever. I did the Rivals event and didn’t get the Diablo? Whoops. I didn't include it in the article, but the Diablo will go out to folks after the event wraps up at the end of the month. Which game had it before FM7? The creatively-named "Ford Simulator" on PC had a Scorpio in 1987. What? That’s like a month away! Awesome to see Turn 10 will actually work more on Forza 7, and not just move on to the next game. Since next gen is likely 2020, they don't really need a game for 2019 because we already have 3 motorsports and 3 horizons this gen.
edit: Diablo GTR is back, awesome. edit: posted this in the wrong place, whoops. I turned the game on, did nothing special and went buy a 1990 Camaro. Checking to see if I had a Porsche Cayman GT4 and I discovered that the Merkur was in my garage... Well, that's one way to deliver it. You didn't get the pop up message asking you to accept that new DLC cars will be added to your garage? Watching that was physically painful.